The story revolves around Sivan and his equation with his foster son Sakthi and its subsequent disintegration. Sivan with the aid of his power and prowess rules over the temple town of Madurai. He adopts Sakthi as one of his own after the latter’s parents’ sudden demise. He is the favourite of all of Sivan’s children and the two share a deep bond. Due to events later on, sakthi is turned against his foster father. Once can assume the concept of Shiva and Shakti of Hindu mythology as the basic concept behind this movie as Shiva and Shakti’s bond is necessary for the balance of the universe. Mohanlal as the mature and dignified Sivan lets his facial expressions do the talking for him. Balancing his act as Sakthi is Vijay who delivers a power packed performance with action, comedy, emotions, romance and dance. His combination with Kajal Aggarwal as the romantic lead is well done and the comic one liners of Soori is worth every minute of it. Vijay, who is also known for his comedy presence and dance moves combines well with Soori to make the audience laugh. Mohanlal plays the perfect Godfather, who knows the tricks of the trade. He seemingly keeps to himself while keeping an alert eye over his legacy. 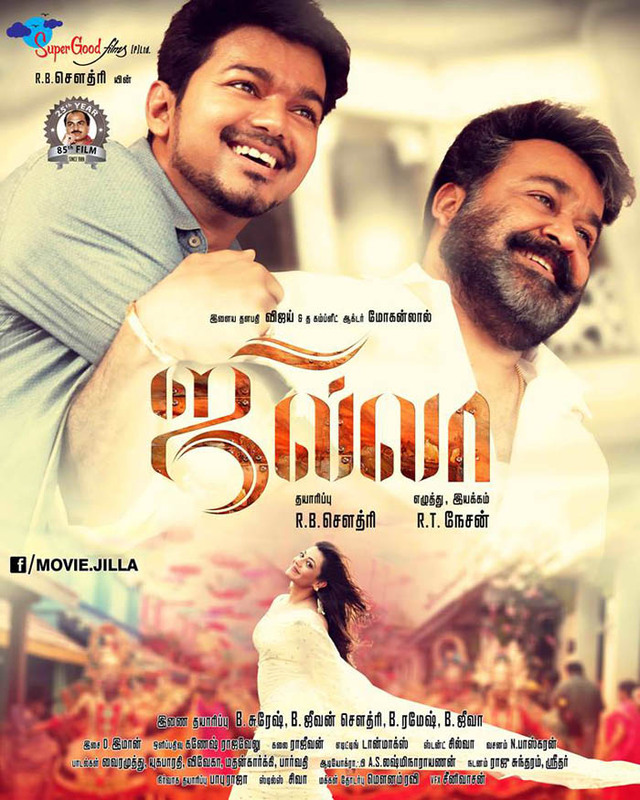 Kaajal plays a cop in the film and enjoys a sweet clean romance with Vijay. There are some silly and illogical moments in the movie, one being Vijay being instantly promoted to big shot cop from big shot thug. No lowly constable-giri for him. He gets the best of both worlds. And if that is not enough, he even read this and gives a moving speech on police etiquette, he recently having joined the force. Similarly some action sequences are over done and unnecessary and some scenes are a drag. The computer graphics are underdone. Nevertheless, it is all forgiven once we see Vijay unleashed in full form, chasing cars and beating up thugs. The other Sivan children, played by Mahat and Nivedha Thomas play their parts convincingly as the siblings who dote on their eldest brother who in turn protects them with his life. the mother is an extremely supportive and understanding mother. The family provide all the sentiment and tear jerking moments for the film. Songs, especially the last song.